Worried about your organization’s cybersecurity? 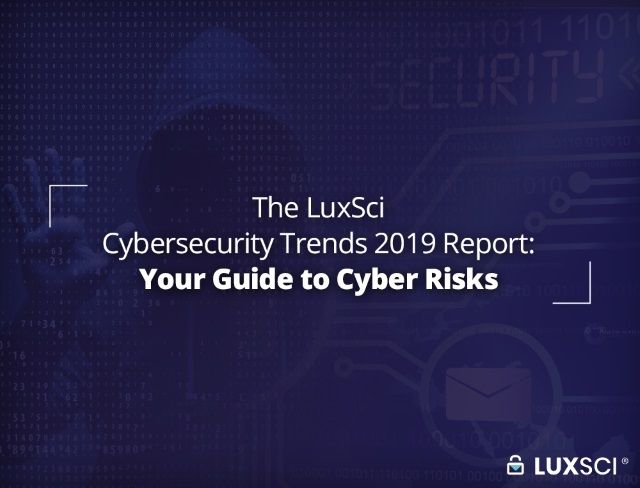 Relax, because LuxSci’s Cybersecurity Trends 2019 report is here to give you the insight you need to understand the latest threats and help you manage your organization’s risks. 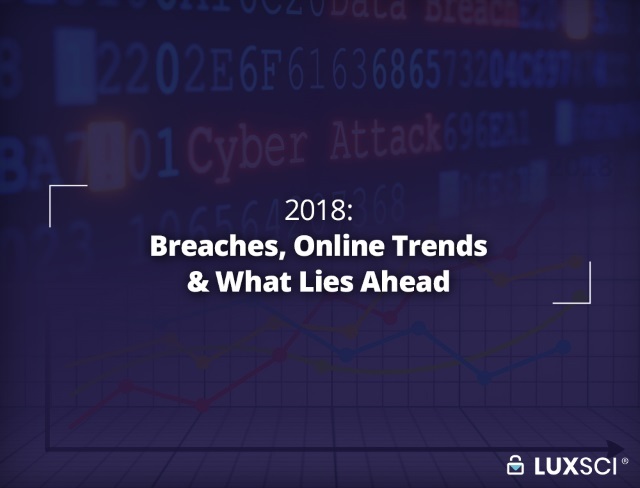 We surveyed executives, management and other employees to find out exactly what’s been happening on the ground, what to expect from the future, and the best ways to stay ahead of the latest online threats. Some of the results were expected, with the continuation of many trends that have been bubbling away for the past few years. But there were a few surprises as well, since the threat landscape is always changing. 46% of respondents said that their organization had suffered an incident with an online scammer or hacker. This isn’t surprising when you consider the relatively low adoption rates of various security technologies that the survey found. Less than half of the respondents said that their organization was keeping audit logs, implementing network management tools or using multi-factor authentication. This is just the tip of underutilized technologies that were revealed in the survey. If organizations want to reduce their security risks, they need a comprehensive cybersecurity policy in place. This should encompass the technical measures, skills, monitoring and other elements that are critical for defense. 46% of respondents claiming that email was involved in their organization’s latest security incident. 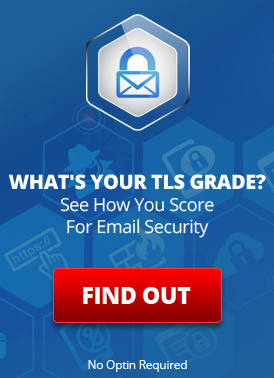 52% of respondents ranking email as their organization’s greatest vulnerability. In ways, this is understandable, because email is so heavily used for business communications. We should expect a greater number of incidents from the most-commonly used communication methods. Just because there were very few smoke signal-related security incidents, doesn’t mean that the smoke signal is a safer means of communicating. While the ubiquity of email is a strong contributor, it still needs to be acknowledged that most organizations aren’t doing enough to protect their email accounts, or to prevent regulatory violations. Phishing is one of the biggest threats, and businesses need extensive employee-training and effective spam-filtering to help minimize the risks. Another key email-related issue involves accidentally sending unencrypted ePHI and ending up with HIPAA penalties. Organization’s need strict policies and technical mechanisms, such as opt-out encryption, to avoid these costly mistakes. “Too many new and emerging threats” to keep up with. This was seen as a serious issue by 28% of respondents. Lack of appropriate cybersecurity personnel, which was claimed by 26% of respondents. The silver lining is that half of the respondents said that their organization had increased the amount of resources that they devote to cybersecurity. Hopefully, this is an indication that those in management are learning just how costly breaches can be, and how important an effective security plan is to the future viability of their business. Despite these budget increases, it is becoming apparent that many businesses are still struggling to implement the security measures that they need. This is particularly apparent in small and medium-sized businesses, where lack of resources and the necessary skills significantly affect their ability to combat threats. Since the current cyber landscape has gotten so complex and the necessary expertise so specialized, turning to third-party security providers is one of the few viable options for smaller businesses. 32% of respondents recognized this need, stating that the best way to improve their security is to outsource it to specialist vendors. Smaller organizations have a lot on their plates. They face many of the same pressures and threats as enterprises, but their scale often means that they lack both the skills and resources to properly address these problems. When it comes to cyber security, SME (Small-to-Medium Enterprise) attitudes can be all over the place. Some don’t put much thought into it, thinking that they’re too small to be a target. Cyber threats may not even be on their radar, especially if they’ve been lucky enough to avoid being attacked so far. Other companies take the threats more seriously but don’t know how to defend themselves appropriately. This can be a significant challenge, particularly if they don’t have any security experts on their staff. SMEs also tend to lack a Chief Information Officer (CIO) and a Chief Information Security Officer (CISO) which means that their IT teams often report to business management. Unfortunately, many management teams don’t have the relevant IT knowledge and they may not understand the cyber security issues that their company faces. This makes it a challenge to form adequate policy and to allocate the necessary funds for defenses. If your company’s approach to security is similar to any of these situations, it faces significant risks. The chances of cyber attacks are much higher than many small businesses like to believe. According to a Ponemon Institute survey conducted on IT personnel from SMEs, 61% of the respondents reported a cyber attack against the business they worked for. At the start of the month, the Justice Department laid charges against three key members of FIN7, one of the most sophisticated cyber-criminal rings that has ever been seen. The arrests came as a result of cooperation between government agencies such as the FBI, credit card companies Visa and Mastercard, and threat analysts from FireEye. While the charges probably won’t put a stop to such a well-resourced group, the investigation has given us insight into some of the latest techniques that are being used by hackers. 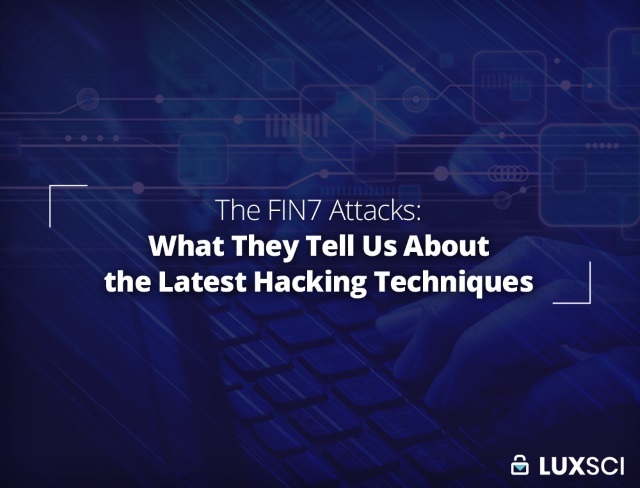 According to Wired, FIN7 are responsible for attacks on more than 3,600 business locations, stealing over 15 million credit card numbers–and that’s just from their US activities. Some of the affected businesses include Arby’s, Chipotle and Chili’s, although FireEye reports that they have targeted a range of sectors in both the US and Europe, ranging from government and finance to gaming and travel. The hacking group’s attacks are so lucrative that the CTO of Gemini Advisori, Dmitry Chorine, estimated them to be making $50 million each month, with a total of over $1 billion in the years that they have been active. While Russia always seems to be in the news, the stories are so tangled that it’s difficult to figure out what is happening. There are meetings in Helsinki, intelligence agencies saying one thing, the President saying another and confusion on both sides of the political spectrum. The most important thing that people need to know is that this issue is bigger than Republican vs. Democrat. The security and independence of the country is under threat, which is something that both sides need to unite against. Beneath all the headlines and hearsay, what we know for sure is that Russia has been trying to influence the US. In itself, this isn’t surprising, because all major powers do this in order to manipulate global events in their favor. 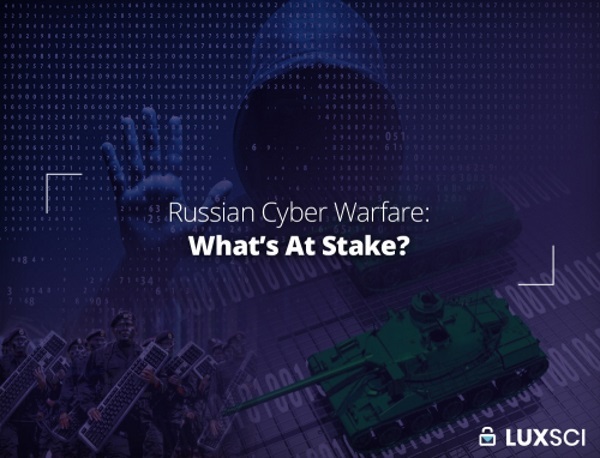 What is surprising are the lengths that the Russians are going to, especially when it comes to their cutting-edge cyber attacks and online propaganda.